Part of my enjoyment of using old Canon FD lenses on my modern digital camera is simply that they are old, in contrast to the ephemeral — almost disposable — nature of so much modern technology. But exactly how old is old? FD and New FD lenses were produced between 1971 and 1995. Fortunately, Canon stamped the rear plate with a date code that gives the month of manufacture. 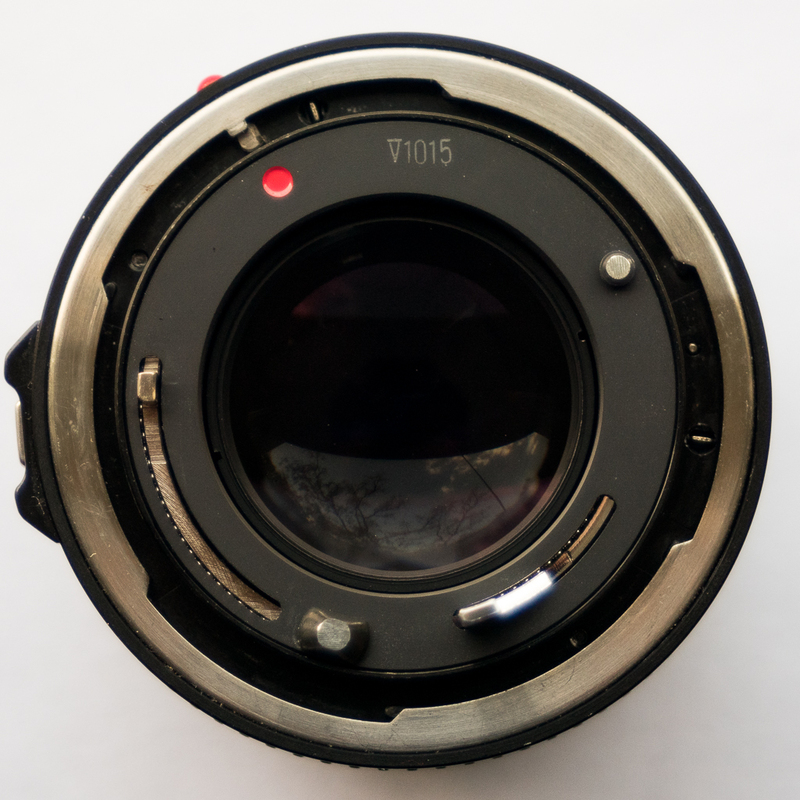 The code “V1015” on my Canon New FD50mm f/1.4 indicates that it was manufactured in October 1981. The first format from 1960 to 1986 has one letter followed by three or four numbers. The letter encodes the year (“A” = 1960, “B” = 1961, …, “Z” = 1985, “A” = 1986). Note that “A” can mean both 1960 and 1986, but since FD lenses were only introduced in 1971 there is no real ambiguity. The first number of three-number codes or the first two numbers of four-numbers codes encode the month (“1” = January, “2” = February, …, “12” = December). The meaning of the last two numbers is a mystery. So, for example, a code of “N501” means the lens was manufactured in May 1973 (“N” = 1973 and “5” = May) and a code of “R1213” means the lens was manufactured in December 1977 (“R” = 1977 and “12” = December). The earliest code I’ve seen is “L107” (January 1971). The second format from 1986 to 2011 has two letters followed by four numbers. The first letter encodes the factory (U = Utsunomiya, F = Fukushima, and O = Ōita). All of the New FD lenses I’ve seen with second-format codes were manufactured at Utsunomiya. The second letter encodes the year (“A” = 1986, “B” = 1987, …, “Z” = 2011). The first two numbers encode the month (“01” = January, “02” = February, …, “12” = December). Again, the meaning of the last two numbers is a mystery. So, for example, a code of “UI0401” means April 1994 (“I” = 1994 and “04” = April). The switch from the first format to the second format seemed to occur in the middle of 1986. The latest first-format code I’ve seen is “A400” (April 1986) and the earliest second-format code I’ve seen is “UA0801” (August 1986). Here is a table with a complete correspondence between the letters and years. As far as I know, earlier FL lenses did not have date codes. EF lenses initially continued to have second-format date codes. After 2008, the date of manufacture can be determined from the serial number.